Mountain biking is a passion for more than 50 million Americans. The finding of recent research conducted by Shimano Research Group. Mountain biking is the most exhilarating way to get enjoyment. Besides, it offers emotional, physical and social benefits. Mountain biking is one of the best ways to reduce diseases, keeps your heart healthy, decrease stress and boost self-confidence. However, you must purchase the right mountain bike to get all these benefits. Best mountain bikes under 1000 dollars can provide you all these advantages. But, before jump in with both your feet and rush off to the cycling shop, you must consider a few things carefully. Mountain biking is entirely different from regular cycling. Bike structure, gear variety, and riding terrain are different in mountain biking. Here is an expert analysis of things to consider while purchasing a mountain bike. This buyer’s guide will help you to buy the best hardtail mountain bike under 1000. How to Choose The Best Mountain Bikes Under 1000 Dollars? What type of mountain bike should I need? Should I need full suspension or hardtail? Rim Brakes or Disc Brakes: which should I get? What type of Pedals should I use? How much suspension travel do I need? Do I require a women specific bike? 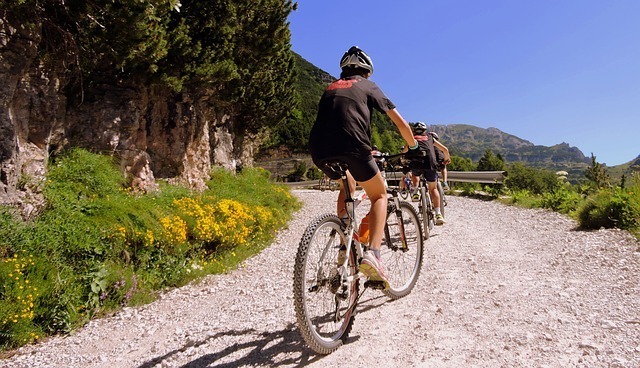 Mountain bikes are designed for cycling on unpaved terrain, which includes gravel, sand, rocks, and dirt. They are built for handling challenging riding environments, which contain steep grades, vertical drop-offs, streams and miscellaneous obstacles. In fact, some elements of mountain bike can address rigors of off-road cycling that include suspension, powerful disc brakes, rugged wheels, large knobby tires, and small gear ratios. These are inevitable for tackling steep grades offering little traction.Mountain biking was originated in Marin County, California in the early 1970s. A few friends started modifying standard bicycles for racing down local hills. The first purpose-built mountain bike was handcrafted by Joe Breeze, the mountain biking legend in California. His bike was known as Breezer 1. Mountain biking has grown far from its humble beginning. Now, this sport has fragmented into five subcategories. Mountain bikes for all these categories are available in the market. Specially designed mountain bikes are used for tackling the obstacles in each subcategory. which make them ideal for tackling steep ascents, high speeds and tight turns. You cannot use cross country bikes for high impact jumps and landings. They are the most popular and least extreme form of mountain biking. However, they are popularly used for both recreational and competitive levels. Generally, cross country bikes are lightweight and are built for climbing hills and racing extended stretches of a relatively smooth trail at high speeds. Though they have suspension, they tend to be the most rigid bikes of all the subcategories. A suspension fork can be seen at the front of a hardtail, which aims to provide some improved grip or to cushion. But these bikes lack rear suspension. On the other hand, full suspension bikes come with both front and rear fork suspensions. So, you can handle such bikes even in the roughest terrain. But, these are typically heavier than hardtails. So, they are slightly less efficient. All Mountain or Trail Mountain Bikes are extremely versatile. These bikes are constructed and designed for handling every type of riding condition. You can also encounter in a full day of riding by using these bikes. you will get the performance of a Downhill bike and comfort of a Cross Country bike. More heavy-duty and durable components are used for manufacturing all-mountain bikes. So, they are heavier than the other subcategory bikes. The full suspension allows All-Mountain bikes to tackle rough terrain. But at the same time, they also provide a relatively smooth ride and safe handling. They can provide an excellent balance between control, performance, comfort and efficiency. Downhill mountain bikes allow you to ride on downhill slopes and tracks at high speed. In this race, you need to start from the top of a mountain or hill and descend at high speeds. Generally, downhill cycling is the most dangerous type of mountain biking. This is also one of the most extremes of any cycling sport. Therefore, downhill bikes will be heavier than other types of mountain bikes. Downhill bikes are constructed with very rugged parts because they need to withstand and unforgiven and punishing riding conditions of downhill cycling. Downhill mountain bikes will be equipped with full suspensions, large tires, heavy-duty frames, chain guides, and disc brakes. Besides, they have high or large gears with head angles slack. Freeride mountain bikes are relatively new. The popularity of these types of mountain biking started in the mid 1990s. Freeriding means riding without an established goals, course, or rules on mountainous terrain. Usually, the freeriding terrain is unique, which include natural trials and hazardous and man-made obstacles such as teeter-totters, bridges, drop offs and steps. Freeride mountain bikes must be able to withstand almost anything, which includes big jumps, trail riding, descending and climbing hills, technical maneuvers, and aerial stunts. They are extremely versatile, and they are equipped with ample suspensions. Freeride mountain bikes are constructed with heavy duty materials and parts. Mountain bikes for dirt jumping are designed for riding specifically over shaped mounts of dirt or reliable. So, you will get airborne for an extended period of time. Mountain bikers love this type of riding most because they enjoy spending time with their wheels off the ground. In order to perform airborne stunts and tricks, mountain bike enthusiasts often construct their own jumping styles. They can even achieve heights of over 15ft in the air. Dirt jumping is mainly used for leisure than for competition. Dirt jump mountain bikes are very reliable and minimalistic because they must be able to survive inevitable crashes and constant high-impact pounding during regular riding. Dirt jump bikes have a smaller frame than other subcategory mountain bikes. These bikes are also characterized by having a rear brake, a single speed, lower seat posts, smaller wheels, oversized handlebars and short suspension travel. Mountain biking sport is still in its nascent state. Therefore, this game is struggling to strengthen an identity in the rapidly developing world of action sports. Due to this reason, even the mountain biking enthusiasts face difficulties to select the best bike that fit their needs. You have been engaging in mountain biking for the past many years. However, before purchasing a mountain bike, you must think deeply about the exact type of bike and riding you want to do. All those who buy a mountain bike may not use it for going up and down mountains. Some biking enthusiasts have more than one mountain bikes. But, some are happy enough to purchase just one. They use that particular mountain bike for satisfying all their biking needs. So, you should buy a decent bike. Though the price for such a bike is a little bit high, it can still be a significant investment. Premium folding mountain bike market is not so broad. Even if there are few, they are not so good enough. Usually, these bikes are manufactured by using cheap components. However, the introduction of New Updated Cyrusher FR100 Black Shimano has changed the entire scenario in folding mountain bikes market. Cyrusher FR100 is incredibly stunning, and it comes with Shimano M310 ALTUS gear speed. So, it can able to perform exceptionally well both on and off-road. New Updated Cyrusher FR100 possesses such a large number of speeds, so the biker can ascend hills rapidly and can traverse along flat ground correctly. It comes with both front and rear derailleurs, which enable you to make the quick shift between gears. It has tiny resistance, which is also a big plus. New Updated Cyrusher FR100 looks like a truly premium bike and it can stand out among all other bikes on the road. Cyrusher FR100 has highly impressive set of disc brakes and the aluminum frame helps to withstand quite a beating itself. Pair of Chaoyang 26 inch tires is extremely impressive. New Updated Cyrusher FR100 is a truly stunning folding mountain bike with exceptional shock absorption. It comes with 24 gear speeds, which is quick on hills and flats alike. The bike is very comfortable for off-road riding. Montague Paratrooper Folding Bike is rugged, tough and ready for anything. It is very popular for its durability and load bearing capabilities. Montague Paratrooper Bike is designed to drop from the sky and land. It can tackle any terrain and it allows airborne soldiers to drop out of helicopters and airplanes and into combat. The bike comes with advanced features with front and rears mechanical disc brakes. You can fold this bike without using any tools or methods. Durable two times create aluminum pedals, entry suspension 24-speed shifters, etc. are the other particular features of Montague Paratrooper Mountain Folding Bike. Paratrooper is not a regular folding bike. Instead, it is a stable, efficient mountain bike. The Nashbar Exclusive Diamondback Atroz Mountain Bike comes with 27-inch wheels, which provides you better gripping on the road. You can roll the bike smoothly on the road because it comes with aluminum rims. So, weight is not an issue for this bike. Wheelset of Diamondback Atroz Mountain Bike is protected by aluminum doublewall. The 3X pattern of the spokes helps to keep the talks clean. Diamondback Atroz Mountain Bike is manufactured by Single Pivot Design’. Therefore, the suspension of this bike is pretty necessary, but it is highly effective. Besides, the bike comes with 120mm front travel, which is attractive. The rear portion of Diamondback Atroz Mountain Bike is protected by RockSox with a sealed cartridge. A suspension is helpful for controlling the speed and turning off the mountain bike when you are riding it. Diamondback Bicycles 2016 Recoil is an excellent bike for beginners. It has wide handlebars, which provide you good control. The disc brakes provide you decent stopping power for off-road trails. The solid aluminum frame of this bike is built solidly. All these features are available at a reasonable price. Diamondback Bicycles Recoil is a great model for the price. Full suspension frame of Diamondback Bicycles 2016 Recoil is light and durable. You can stop the bike when you need it because it has Shimano hydraulic disc brakes. To provide the smooth and durable performance to the riders, the bike is manufactured by optimizing single pivot with sealed cartridge bearings. Diamondback Bicycles 2016 Recoil has 100mm of smooth air suspension on both rear and front. The Nashbar Exclusive Diamonback Overdrive Comp 29er is designed to meet the needs of mountain bikers. We have picked this mountain bike in the top 5 list after hours of testing, research and analyzing the features. A 6061-T6 aluminum alloy is used for making the frame, so the bike is extra durable. The hardtail frame of this bike is lightweight and strong, which ensures that the bike can stand up to tumbles and knocks as you ride. Diamondback Overdrive Comp 29er has 29-inch wheels, so you can easily roll this bike over obstacles such as rocks, roots, stream crossing and boulders. Large wheels also ensure fast and smooth rolling over uneven terrain for your enjoyment and comfort. Diamondback Overdrive Comp 29er has solid wheelset, spokes, hubs, rims and aggressive tires, which provide you maximum traction on all surfaces. The suspension of Diamondback Overdrive Comp 29er is excellent, so you can ride this bike comfortably. RockShox XC30 suspension fork can absorb all shocks from rough terrain. Therefore, you will be very comfortable throughout your journey. Diamondback Overdrive Comp 29er comes with TurnKey lockout controls, which is helpful for making easy suspension adjustment. The gearing and breaking of Diamondback Overdrive Comp 29er are also excellent. Shimano Deore 10-speed drivetrain, rear and front derailleur, 2x10 shifters, etc. help to make gear changes precise, fast and smooth in all conditions. Mountain bikes come in all type of sizes and shapes. So, lots of options are available for a mountain bike rider. Therefore, it is tough to select the type of bike that right for you. Therefore, the answer to this question depends on various factors. But, your personal riding preference is the most important among these factors. Where you live is the second most important factor. As mentioned earlier, most mountain bikes fit into a set of fun categories, such as Downhill, Freeride, All-Mountain and Cross Country. Just analyze your preference. So you want to climb big mountains, descend technical downhill courses, ride smooth flowing trails or just have all around fun? Just think about the place you live and your riding style. It will help you to narrow down your decision. Before searching for the best mountain bike, you should ponder about this question very carefully. The performance of the bike and type of riding has the greater influence on the answer of this question. When you face with this question, I recommend full suspension (front and rear suspension) mountain bikes over hardtail (no rear suspension) to almost everyone. You will be much more comfortable when you ride a full suspension mountain bike. Compared to hardtail counterparts, full suspension mountain bikes will be more enjoyable and better controlled. I am sure, some of you will disagree with me. I know that you can pedal more efficiently if you have a hardtail mountain bike. These are also little lighter than full suspension models. They also require less maintenance too. So, lots of cross-country racers use hardtail mountain bikes. Most endurance and other types of racers have changed their focus to full suspension.Compared to hardtail mountain bikes, full suspension bikes are more expensive. If you are not able to afford a full suspension bike with reliable and decent components, you can purchase a good reliable hardtail mountain bike. This question is very common, but the answer is not. If you want to get better, more consistent brake performance in all conditions, you can select disc brake. However, if you need a low priced, lightest set-up bike, rim brake is perfect for you. Rim brakes perform very poorly in muddy or wet conditions. Disc brakes are very durable and efficient for all circumstances. However, the disc brake system is more expensive than rim brakes. There are three major types of pedals, platform, cage and clipless. You can select the pedal type on the basis of your riding style and the performance of your bike. Bike pedals are the most important connecting link between you and your bike. If you are an average trail or XC rider, clipless pedals are suitable for you. Clipless pedals allow you to snap your foot into place on pedal. Cage style bike pedal is the second most common mountain bike pedals. These types of pedals are commonly found on lower level bikes because they are very cheap. Platform bike pedals do not offer any attachment between pedal and foot. So, these pedals are designed for providing you a right amount of grip between your shoe and the pedal. These types of pedals are used commonly by dirt jumpers, downhillers, and free riders. While purchasing the best mountain bike under 1000, you should strictly avoid cage style pedals. You should also avoid too tight and too loose pedals. Clipless pedals have good mud clearing capabilities, low maintenance, and lubrication requirements. I recommend you clipless pedals, which have a minimum amount of platform for your shoe. All types of suspension travel options are available with mountain bikes. If you want a full suspension bike, then the amount of suspension travel you require depends on your style and type of riding you want to do and the kind of terrain you want to ride in. There are mainly five categories of mountain bike suspension travel. If you want to participate in cross country, your bike should have around 4.5 inches of suspension travel. Mountain bikes under this category are built for self-propelled speed, little weight, and efficiency. Freeriders should have about 6-8 inches or more of suspension travel. Usually, trail bikes (all-mountain) have around 4-6 inches of suspension travel. The usual suspension travel for downhill mountain bikes is around 7-10 inches of travel. Women-specific mountain bikes are designed for the majority of women. However, they may not be suitable for all women. Before purchasing a women-specific mountain bike, you should do a test ride on both women specific and non-women specific mountain bikes. This test ride will help you to take an ideal decision by yourself. Mostly, women specific mountain bikes are designed for women with an average body type. The body standard of women will be smaller, light weight and has shorter arms and torso than the body level of an average man. Most non-women specific bikes are manufactured to these specifications. If your body type is different from the body type of an average woman, you can purchase a non-women specific mountain bike. We have picked these five mountain bikes after conducting various rigorous checkings of performance, suspension, brake, weight, stiffness, handling, and even aesthetics. While selecting the best mountain bikes under 1000 dollars, I believe that the overall package is more important than individual components and features. Mountain bikes are machines that are designed for providing you maximum fun. You must also be able to control them in a wide range of conditions and for a different range of skill levels. The best hardtail mountain bike under 1000 must help you to explore the sport safely and further develop your skills. The ultimate mountain bikes should be durable, stable and comfortable for longer rides. Appearance can be added as a second priority. Mountain bikes explained here are the best deals in the market. So, you can just select one from this list.